Please click on the member company logos to access their websites. Carlisle SynTec, headquartered in Carlisle, Pennsylvania, has been manufacturing single-ply membraneroofing systems for nearly half a century. Carlisle is a business segment of Carlisle Construction Materials andhas manufacturing facilities in Carlisle, Pa; Greenville, Ill.; Senatobia, Miss. ; and Tooele, Utah. 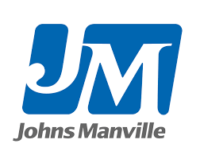 Johns Manville Johns Manville, a Berkshire Hathaway company (NYSE: BRK.A, BRK.B), is a leading manufacturer and marketer of premium-quality products for building insulation, mechanical insulation, commercial roofing, and roof insulation, as well as fibers and nonwovens for commercial, industrial and residential applications. Milliken & Company, one of the world’s largest privately held textile and chemical manufacturers, is focused on combining textile and chemical technologies in unique ways to serve a vast array of markets. Milliken is widely recognized as an international leader in research, technology and innovation. Olympic is a worldwide leader of fastening products for the Commercial and Residential Roofing Markets. U-Flow Drains®, RAC Drains®, OlyBond®, OlyBond500®, and the ASAP System are all products developed to help Professional Roofing Contractors reduce installed cost and increase the integrity of the roofing project. Royal Adhesives & Sealants is a manufacturer and marketer of high performance adhesives, sealants, encapsulants, potting compounds, and mirror mastics. These high performance products are used in a variety of markets including aerospace and defense, assembly, automotive and recreational vehicle, electrical/electronic, filter, marine, general industrial, and flexible packaging and paper converting. ERA created the Affiliate Member category for any company, corporation or other form of enterprise which is not eligible for Regular or Associate Membership but is engaged in any aspect of the business of recycling EPDM or other single-ply roof membranes. These companies will work with ERA to continue ERA’s efforts to re-use and recycle EPDM. Membership requires the approval of the ERA Board of Directors. Companies interested in becoming members of the Recycling Council and/or receiving a sample of EPDM to determine appropriateness for recycling should contact ERA.